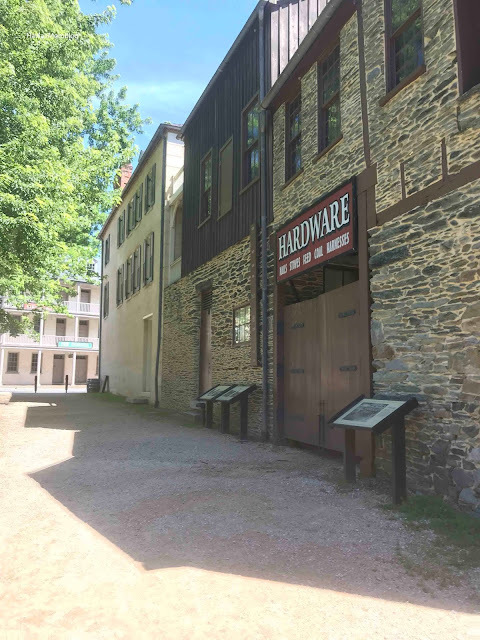 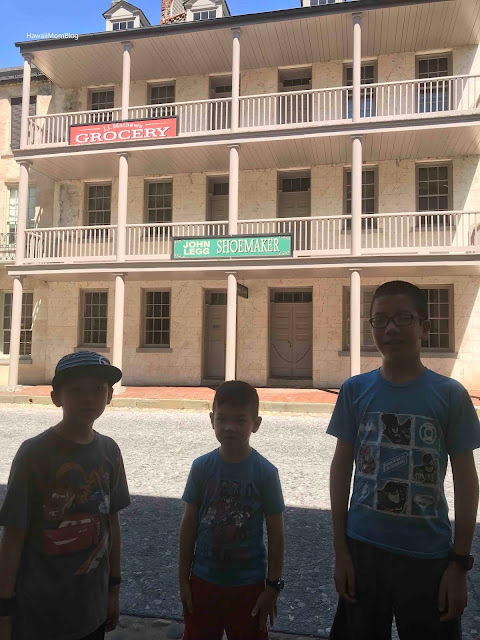 While in West Virginia, we went to Harpers Ferry National Park. 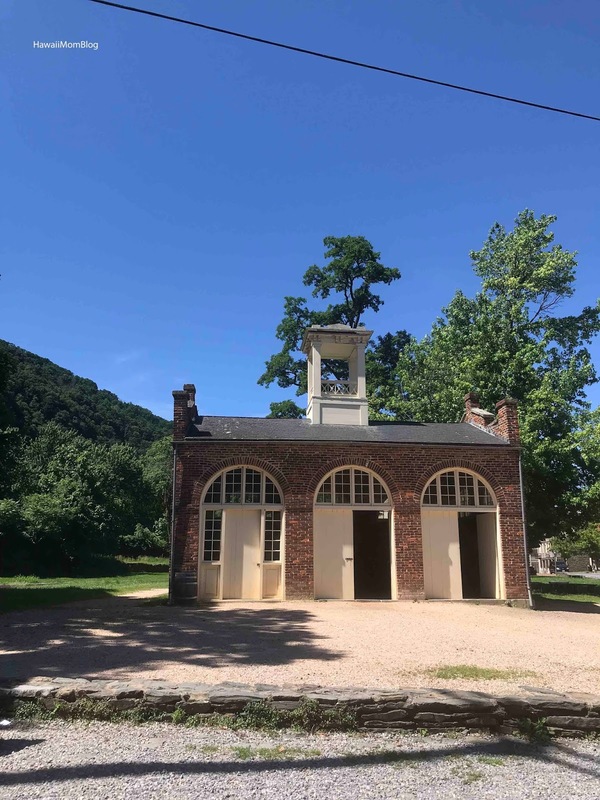 Harpers Ferry National Park is a multi-layered attraction with historical, cultural, and geographical significance. Historically and culturally, Harpers Ferry National Park "witnessed the first successful application of interchangeable manufacture, the arrival of the first successful American railroad, John Brown's attack on slavery, the largest surrender of Federal troops during the Civil War, and the education of former slaves in one of the earliest integrated schools in the United States," according to the website. 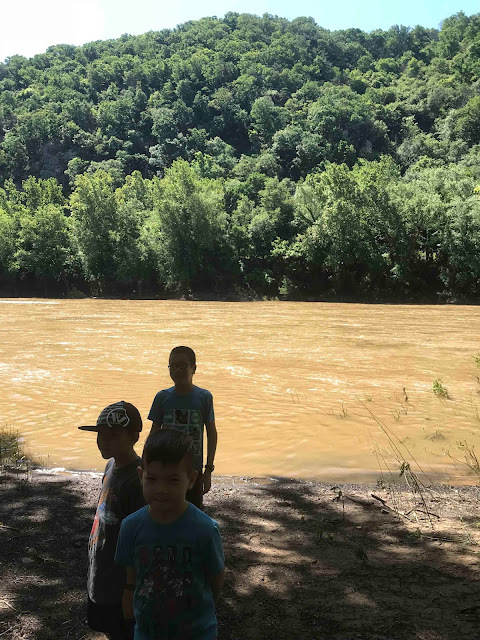 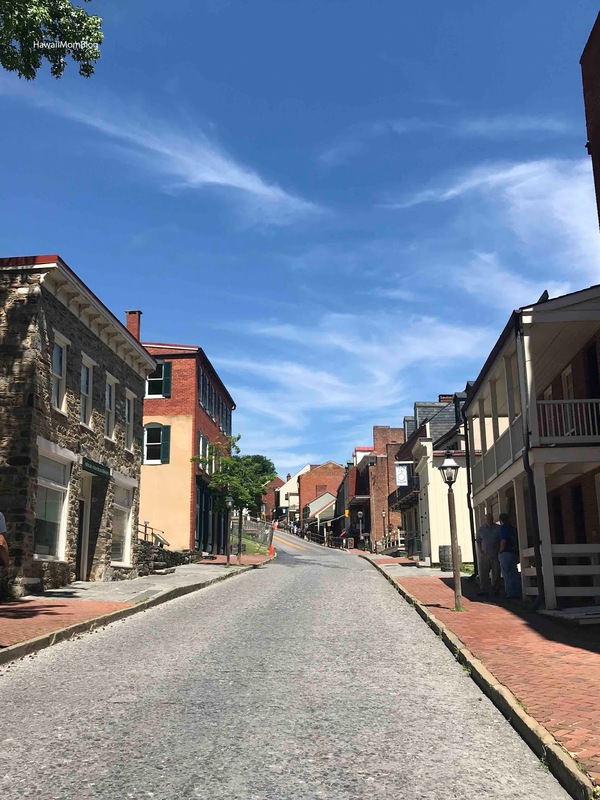 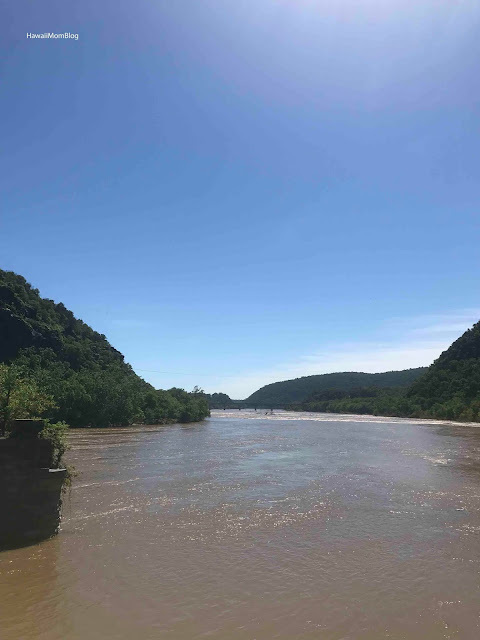 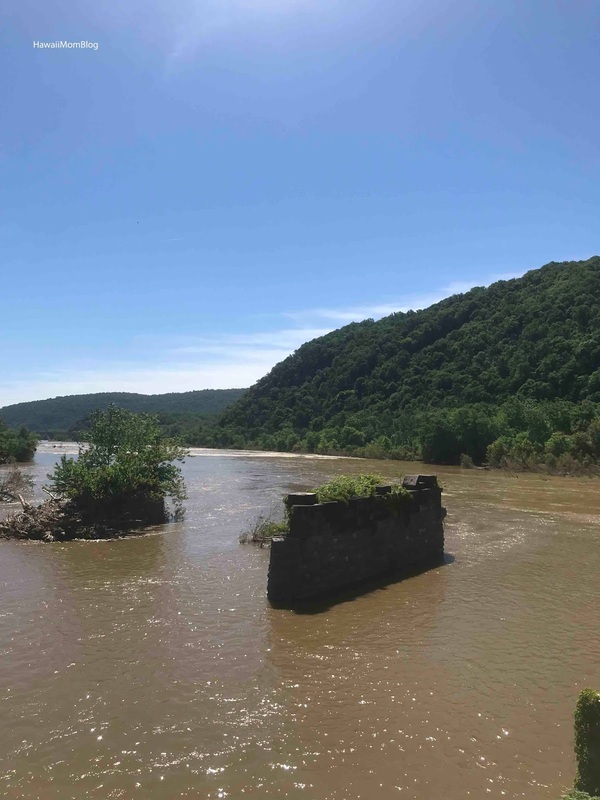 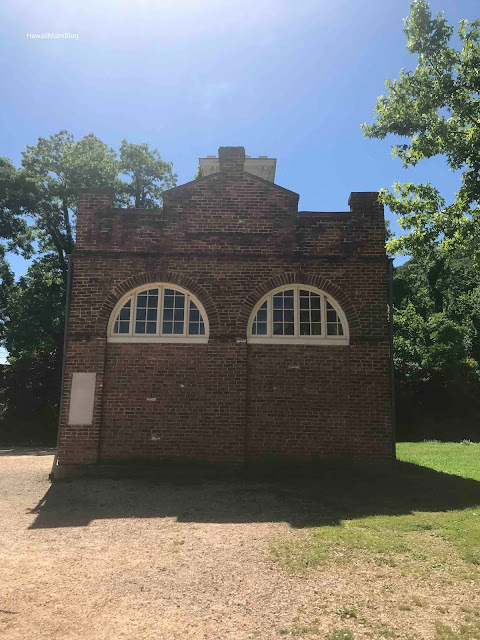 Geographically, there is a point in Harpers Ferry National Park where the Potomac and Shenandoah rivers meet, and you can view three states - Maryland, Virginia, and West Virginia! 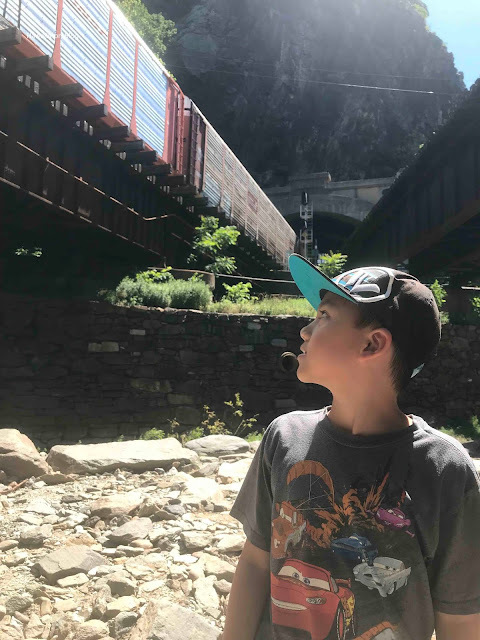 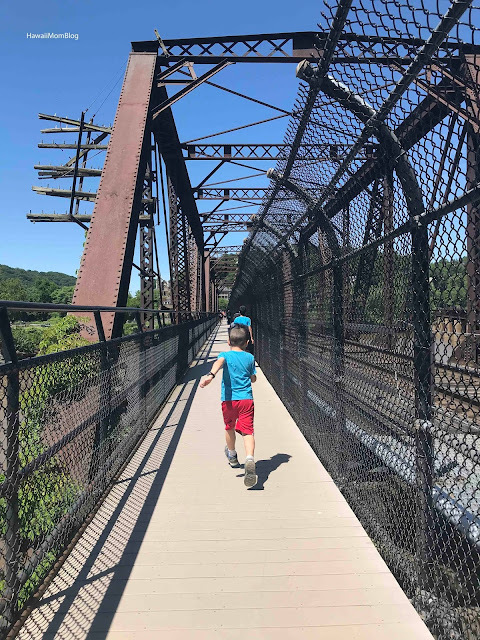 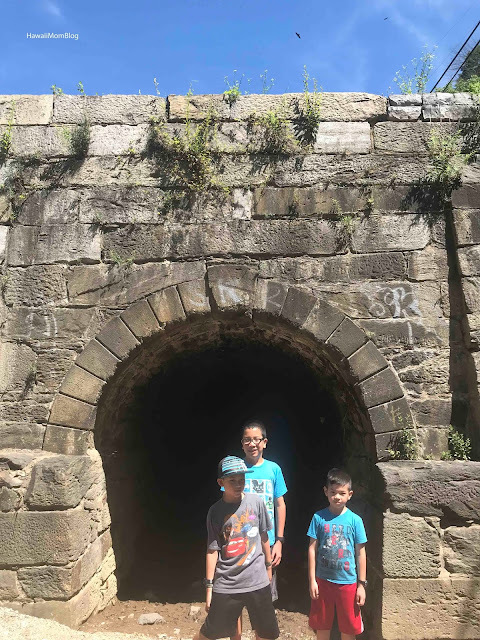 While at Harpers Ferry National Park, we toured the quaint old buildings, visited The Point, and crossed a foot bridge to experience one of the longest trains we've ever witnessed rumble on by (it was deafening!). 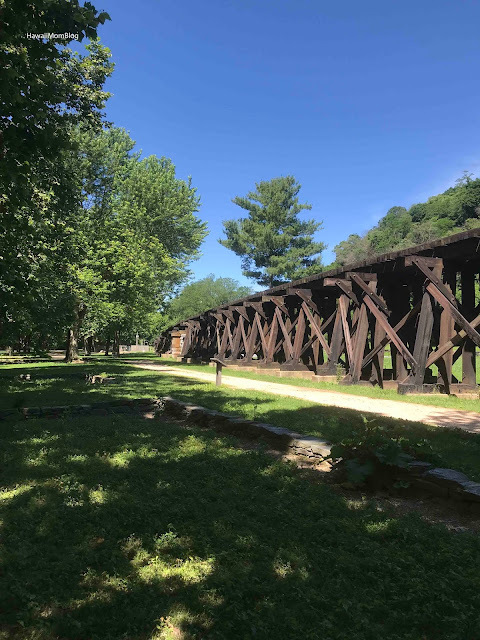 We saw a lot of people at the park hiking and biking, but we had a nice time simply strolling through the park and stepping back in time for a bit.